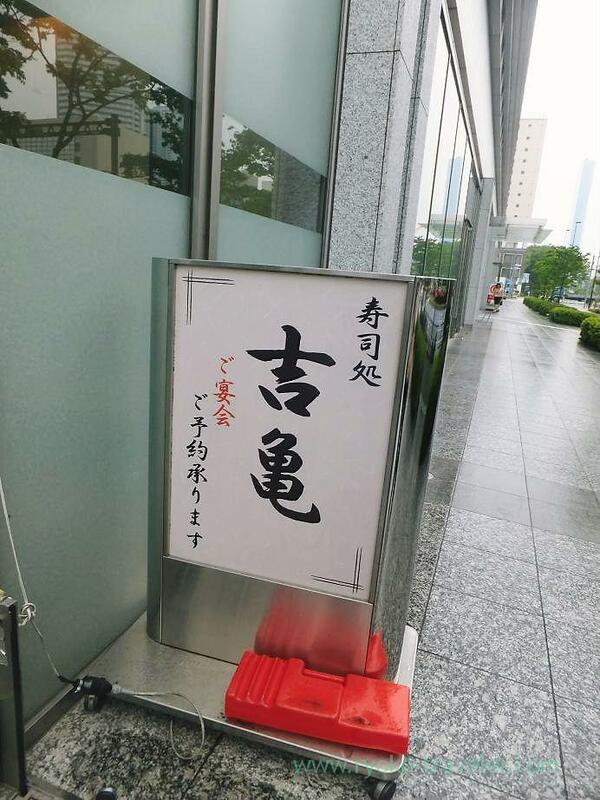 This sushi restaurant is located close to Harumi Toriton building. I visited there several times, and I found the restaurant is large contrary to its narrow entrance. 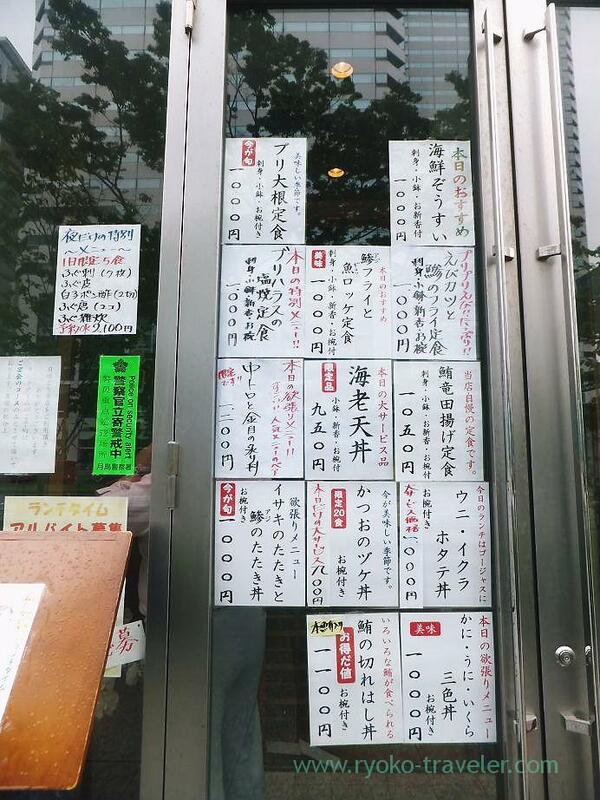 I went to there earlier because lots of people visit there at lunchtime and many foods are sold out soon. Though I didn’t want to take lunch break earlier that day because I was very busy. But I wanted to eat something sashimi bowl. This shop’s regular menu isn’t good. You should choose one from such papers on the door and the wall. So, I decided to order marinated bonito with soy sauce bowl and entered the shop. There were still many vacant seats because, maybe the weather wasn’t good. I intended to order bonito, but somehow when I was about to order my lunch, words next to the name on the menu came into my eyes. Left is grunt, and the right is horse mackerel. 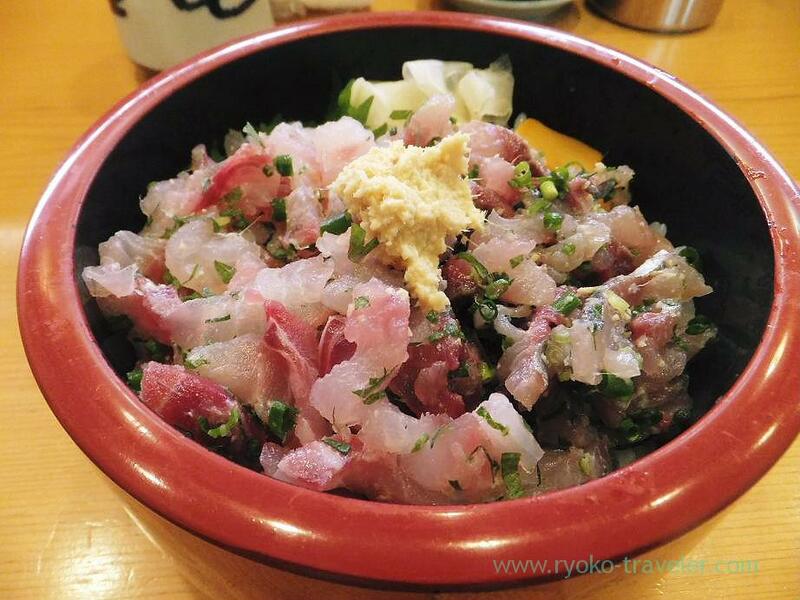 The horse mackerel went with grated ginger, but I wanted to eat grunt with wasabi. When I have no time to go Tsukiji or the weather is bad, it’s a good choice for lunch !